"Climate-Change Deniers Have Done Their Job Well"
The big money out there is invested in climate change denial, as major oil companies fight to eliminate climate protection laws or intentionally fund studies which deny climate change; and it’s been a tough few weeks for them. 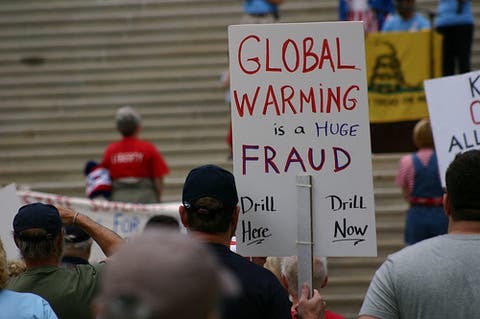 More and more independent studies are highlighting the amount of damage human-caused global warming is caused, and numerous organizations are desperately struggling to find ways to counter these scientific results, mostly using advertising campaigns and all sort of biased claims. First came the Unabomber billboards, created by the Heartland Institute. They displayed pictures of Ted Kacynzki, with an incredibly misleading text: “I Still Believe in Global Warming. Do You?”. The campaigns was supposed to draw attention that “the most prominent advocates of global warming aren’t scientists. They are murderers, tyrants, and madmen”. But results came out the wrong way; the Heartland Institute, the central nerve of climate change denial advertising, shook and took quite a fall, as investors withdrew financing and many members resigned. The billboards were released before the ones with Charles Manson and Osama bin Laden could be unveiled – but the damage was already done. But things don’t stop here – they only begin. Take Lubos Motl, a Czech theoretical physicist who has never published on climate change; he keeps a blog which releases a constant stream of web assaults on scientists he calls “fringe kibitzers who want to become universal dictators” who should “be thinking how to undo your inexcusable behavior so that you will spend as little time in prison as possible”. Just to make a side note, he also said that while he agrees with many of Norwegian gunman Anders Breivik’s ideas, it was hard to justify gunning down all those children. Yeah, really ? But if you think this is some kind of sick joke… well then, the joke’s on you – because it worked. These ruthless and misleading campaigns and statements actually work for some. James Inhofe, the Oklahoma Republican who has emerged victorious in every Senate fight on climate change, cites Motl regularly. How does it feel now? Fox News constantly display such ideas as well, providing no true scientific basis to their claims and just streaming statements on and on. This relatively small group of people, funded by major oil companies such as Exxon or BP manage to convince people everything is just fine. Their campaign has been so successful that they actually managed to intimidate the other side. Not many senators are willing to risk the wrath of big corporations and energy companies, even though the cause is right. 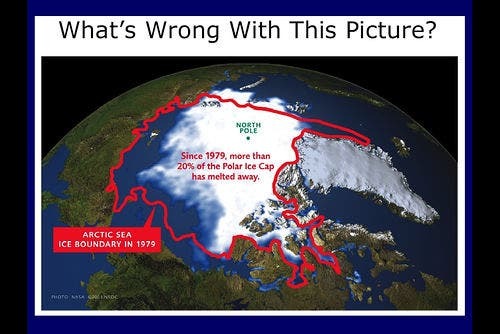 Barack Obama, a man who definitely knows how to take care of his image, is so aware of these issues that in his four year mandate, he barely even mentioned global warming. But not everyone has been intimidated; following the absurd Unabomber billboards, thousands of rallies were held against such campaigns. Hundreds of thousand have signed a petition demanding an end to fossil fuels subsidies. But it’s a tough fight – fighting against money, giant corporations, and inertia. Still, truth will prevail, because physics, chemistry and geology bow down to no one – regardless of how powerful he is and how much money he has. Bill McKibben, perhaps the most prominent environmentalist of the moment, discussed all these things, and many more, in one of the best articles I have read all year. I warmly recommend you read it in its entirety.